Homeowners often underestimate the aesthetic value of garage doors, but they’re actually a great opportunity to boost a home’s curb appeal. 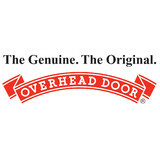 That’s where garage door sellers and installers come in. Whether you are building your first home or remodeling an existing one, a garage door dealer in Colesville, MD can help you choose a stylish garage door that will enhance your home’s exterior and provide security for your car and belongings. 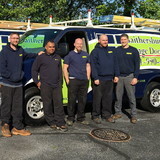 What kind of services do Colesville, MD garage door dealers and installers provide? 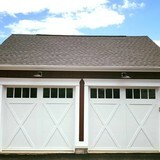 Find garage door sellers and installers in Colesville, MD on Houzz. Narrow your search for Colesville, MD garage door sellers and installers by selecting the nearest city or zip code. Look at portfolio and product photos, and read reviews to find the best Colesville, MD garage door professional for your home.